My Japanese friend from Kansai Gaidai University in Osaka, Hiroki-san, and I went to dinner a few weeks back at I Ai Sushi. I wanted to take him somewhere where he could look at a Japanese menu and maybe have something a little closer to home for an affordable price. No other place but I Ai Sushi came to my mind. I was a little apprehensive because sometimes service there is lackluster, but service was actually pretty good during this visit with no complaints that I can think of at all. There weren’t many people since we came on a weeknight as well so our food came quickly. 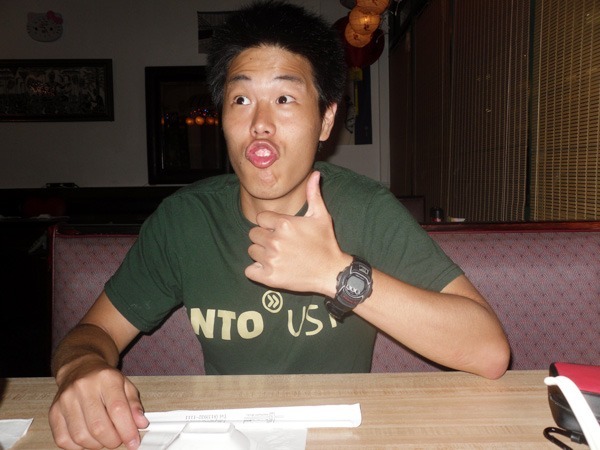 Hiroki-san, the special guest in this review. 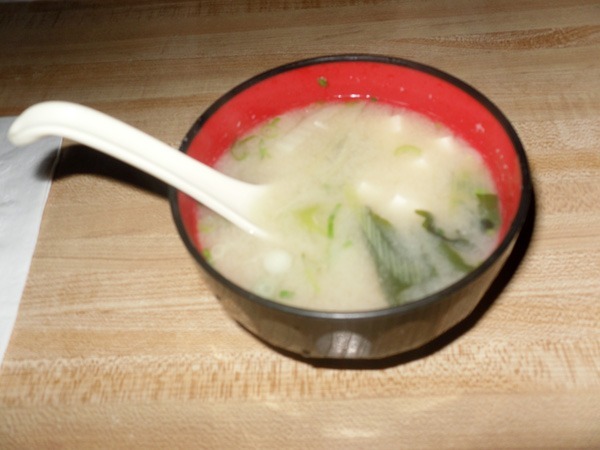 Full of plenty of ingredients, a hearty miso soup ($2). The first thing we ordered that came out was the Kaki Fry ($4.50). Great quality as always…Hiroki-san accidentally put it into his mouth when it came out hot and when the juices inside came out he burned himself pretty bad. 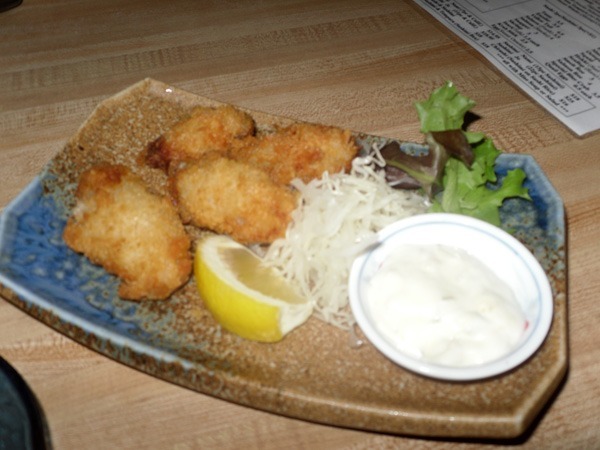 >_> However, the Kaki Fry was excellent and had great texture and flavor as usual. 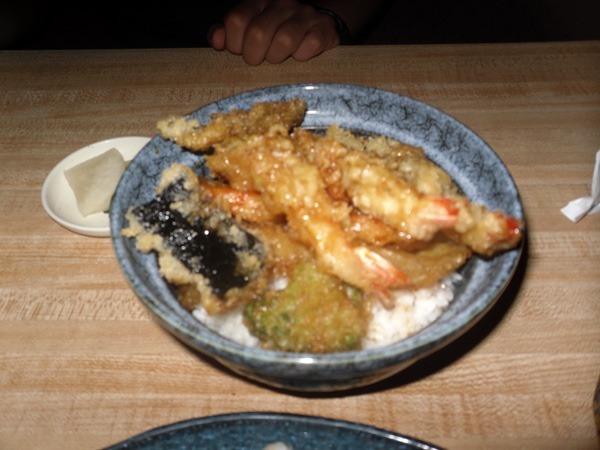 Hiroki’s tempura-don looked appetizing. I’d like to try it on future visits. Hiroki noted that in Japan many of the vegetables that were made into tempura in his batch were not common to have put into tempura. I ordered two sushi rolls. 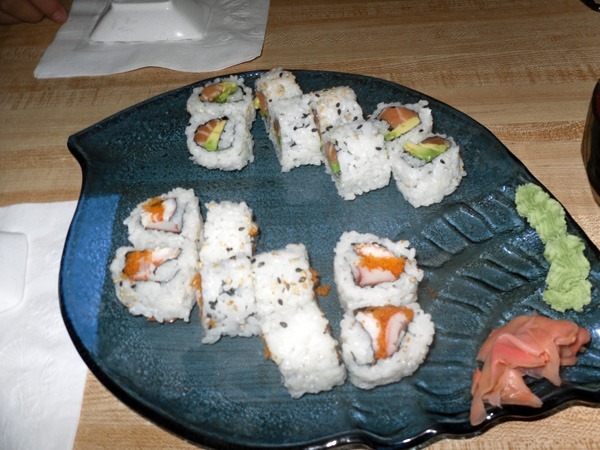 Their Alaskan Roll ($4.25), pictured on the top, was phenomenal, their Salmon is always really fresh and just hits the spot. The price is good for that roll as well, which can sometimes climb over $5.50 at some restaurants. I was feeling experimental and gave the ❤ Ai Ai Roll ($5), pictured on the bottom, a shot and boy was I glad I did! It tasted great, really fresh and flavorful. It contains crab, shrimp, mayo, and roe…a nice combo indeed. 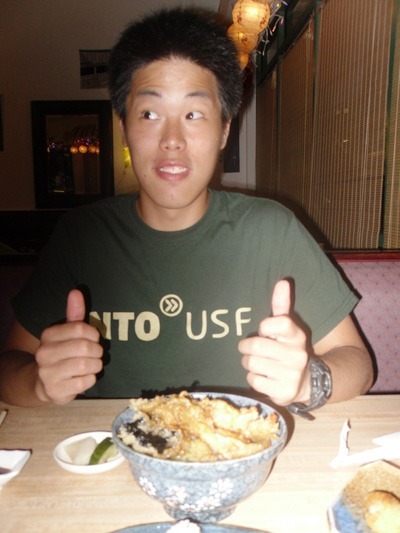 Hiroki-san gave I Ai Sushi two thumbs up and I couldn’t agree more.